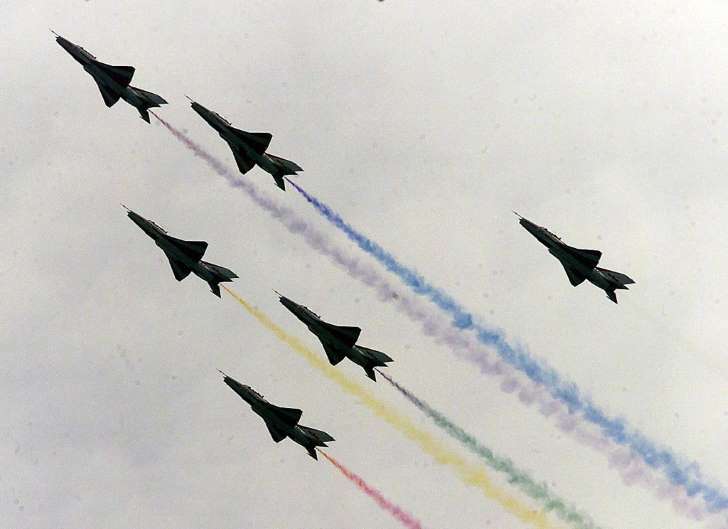 The first woman to fly China’s J-10 fighter plane was killed in a crash during an aerobatics training session, Chinese state-run media reported today. 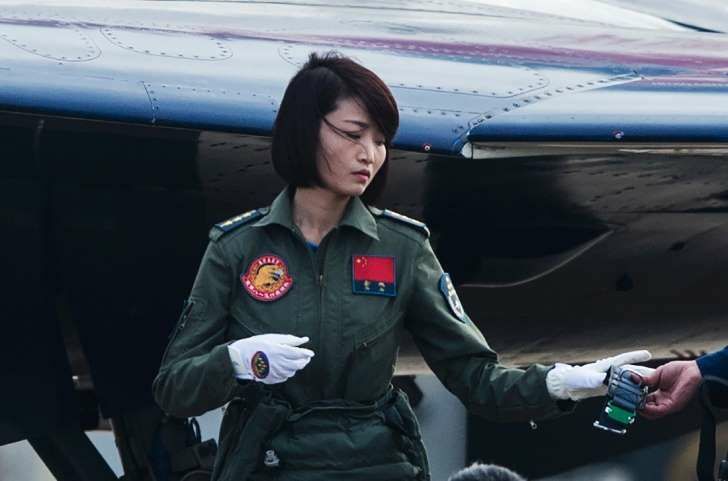 Captain Yu Xu, 30, a member of the Chinese PLA (Peaple’s Liberation Army) Air Force’s “August 1st” aerobatic display team, died when she ejected from her aircraft during a routine aerobatic training exercise in the northern province of Hebei this past Saturday, November 12th, the China Daily newspaper said. Captain Yu and her Co-Pilot stride from their J-10 Fighter. During practice her fighter collided with another of the team’s jets and both she and her co-pilot ejected. 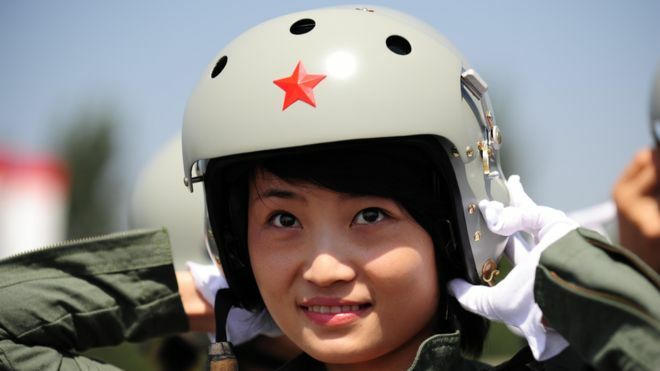 Her male co-pilot, 35, parachuted to safety, but Yu was struck, as she ejected, by one of her team mate’s fighters, and she was killed.” As one of only four female pilots in the country capable of flying these high-performance Chinese designed and built fighter jets, her death comes as a tremendous loss to the Chinese Air Force,” the Global Times newspaper said. Yu, was from Chongzhou in the southwestern province of Sichuan and she joined the People’s Liberation Army (PLA) Air Force in 2005. While Yu’s fighter was destroyed in the crash that followed the mid-air collision, the other ship involved in the accident managed to land safely. 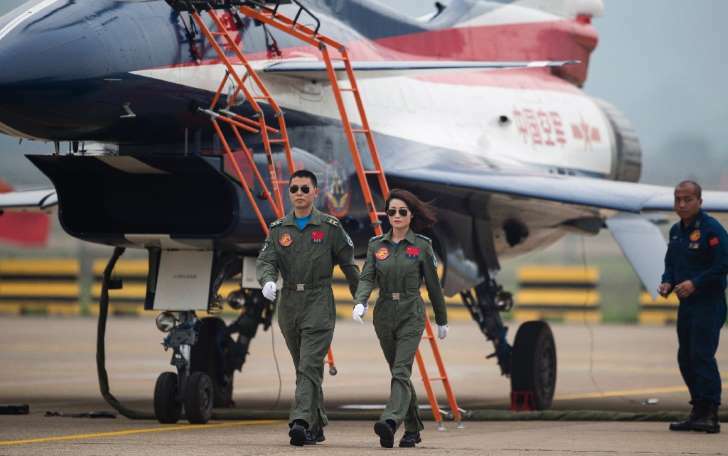 Captain Xu graduated from her pilot training four years later, becoming one of the first 16 Chinese women pilots qualified to fly fighter jets, the China Daily said, and in July 2012 was the first woman to fly become fully qualified to fly the J-10. Fans dubbed her the “Golden Peacock,” which nick name then became her Flight’s official code name (handle) for her. Amidst the Chinese Internet commentators, one blogger observed that there were three other crashes involving the J-10 fighter jets last year, and that some people were dissatisfied with the way state media reported her death. It was speculated that there may have been a control flaw in the design of the front-line fighter, which control malfunction might have directly related to the mid-air collision that took the young female pilot’s life. “It is more important to investigate the causes of the accident. Was it a design problem? Was it a problem with the procedures? Was it because of inadequate training?” Were some of the other noteworthy commentaries. One of the other numerous Chinese journalists who commented on the crash remarked that, “Yu is the Hua Mulan (legendary woman warrior) of our era, a rare heroine. “Yu was the first of four women who were certified to fly the J-10, a single-engine multi-role jet that entered service in 2004 and is considered the first Chinese domestic fighter to rival Western fighters in its capabilities,” one Chinese news story reported. 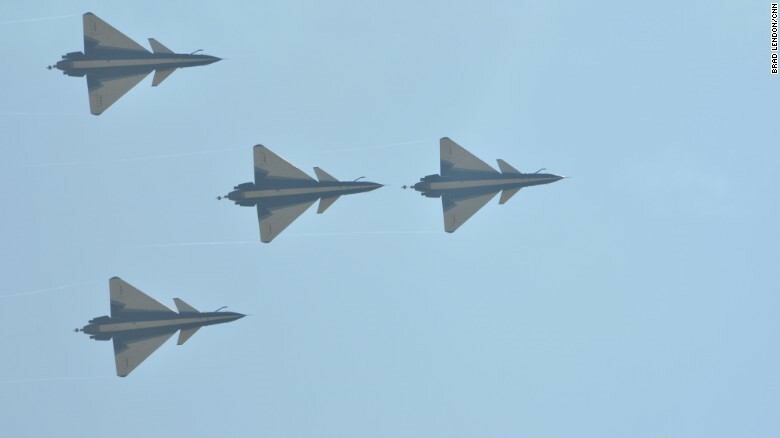 J-10 fighters from China’s August 1st aerobatics team performed at “Airshow China” in Zhuhai on November 4, 2016. That show was Capt. Yu Xu’s last public performance. This entry was posted in AVIATION NEWS on November 14, 2016 by FASFRIC.